Having grown up in and around the hospitality industry as a young child, Jeremy has always had a strong interest in pursuing a career in hotels. Starting just out of high school as a Guest Service Representative for the Iowa-based hotel company, Heartland Inn’s of America, Jeremy absorbed as much knowledge as he could and eventually cross-trained with other departments to learn more about each role and began the path of progressing his career forward. 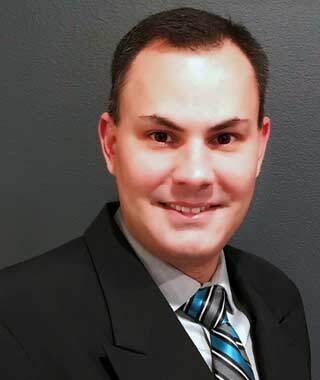 For the next several years, Jeremy has held various leadership positions in the lodging industry including; General Manager, Area Manager, and Property Support Specialist, supporting such brands as Accor Hospitality, Country Inn & Suites By Carlson, LaQuinta and AmericInn’s. With these experiences, Jeremy has led many different departments, including; Operations, Sales/Marketing, Food & Beverage, Accounting & Financial and Human Resources. Jeremy brings nearly 20 years of combined leadership and management experience to the WHG team. He thoroughly enjoys using his previous experiences to work collectively with his teams to motivate, inspire, guide and assist them on reaching realistic goals and recognizing true potentials.